You want to learn a great deal about experience and training when interviewing individuals to find capable and responsible caregivers because your son or daughter has a childhood disability, is recovering from surgery or illness, or has other significant temporary or intermittent special needs. Some states maintain a registry of trained caregivers and agencies that employ them. It is important to be aware that in many cases, the training most individuals have received is mainly in how to fill out paperwork and timecards properly. Also, background checks done by agencies may be limited to applicants 'self-reporting' that they have never been charged with or convicted of criminal activities, child abuse or neglect. It is also important to know the driving record and credit rating of a potential caregiver, since tickets and debt can be clues to alcohol or substance abuse and lack of responsibility. Some caregivers have training in special education classrooms where use of aversive restraints and seclusion was an accepted practice. Those who report that they have experience caring for a child or teen with a particular diagnosis or medical condition may have exaggerated their contact with and supervision of the individual, especially a family member. It is very different to be responsible for meals, bathroom breaks or diaper changes, safety and health instead of being a companion or playing with a child under someone else's care. 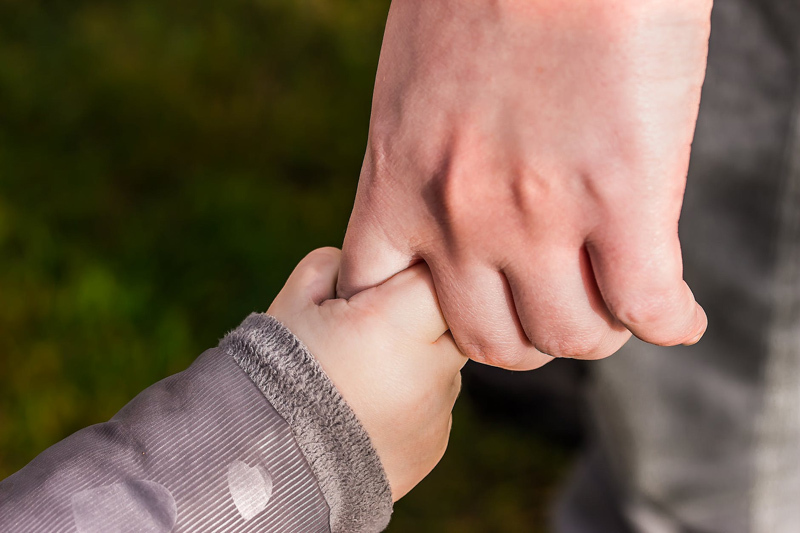 If you are hiring someone who will be alone with your child, it's important that they have basic skills and also will take instructions seriously to prevent accidents as well as to deal with unexpected events. Teenage babysitters are often required to have more training in dealing with emergencies and practical care than some adults who are registered with agencies. Because we want caregivers interacting with our sons and daughters who build positive emotional attachments to them, it is easier to overlook shortcomings like lack of experience with children in general or an individual who shares a diagnosis, or who lacks practical skills that they assure us they will learn or we assume they will develop. It is important during the interview to get a feeling for how seriously the applicant takes information about your family's privacy, your child's food and clothing preferences, allergies, routines and discipline. It is important to make your expectations clear so that the caregiver invests the time she spends in your home interacting with your child rather than watching television, chatting on the phone or texting friends, or even doing chores and leaving your child unsupervised, strapped in a high chair or left in a crib. Caregivers should not assume that they can strap your child in a carseat to do errands, visit family or friends, or otherwise tend to their own business while being paid to supervise your son or daughter. A caregiver is paid to be responsible for our children; the position is not the entry level opening for family membership or being a best friend for us. It is important to ask them whether they have been allowed to tend to their own social engagements and housekeeping chores when caring for other people's children or teens, and to decide whether we accept the risks involved or trust that they will respect our expectations. It may have taken months or years in their previous position for the family to trust them in that way, and they may no longer be employed by the previous family because they lost that trust. It is important that we observe a potential caregiver interacting with our children. Part of the interview process can be a few paid hours being a 'Mother's Helper' caring for the child while we work in the house or meet friends at a park or playground. Observing while a child is being fed, secured in a carseat, engaged in play or supervised by a potential caregiver gives many more clues to their competence, patience, attitude and personality match with our children. During this time, we can model respectful and affectionate interaction with our sons and daughters so that the caregiver does not assume they can engage in sarcasm or teasing, or express exasperation with the child when we are not there. Some adults act overly sweet and try to win a vulnerable child over during the interview process, but cannot disquise their discomfort or disapproval. In this economy, people are desperate for a paycheck and can't be blamed for applying for jobs for which they are just not qualified or competent. It is important that we treat the applicant with respect during the interview and when they are interacting with our children. Most of the time, it's just a question of whether they are a good match with our family, and sometimes people who would be adequate or even outstanding are just too nervous to make a good impression during an interview. Establishing an employer/employee relationship at interviews may feel uncomfortable and unnatural because we do want our children to spend their time with warm and affectionate people, but every parent who has had an unfortunate experience with a caregiver regrets not taking a more practical approach to avoid adverse events. Although interviewing can be an exhausting experience, only two or three out of ten applicants you meet may be adequate to care for your son or daughter, and perhaps one in twenty may exceed your expectations. and The American Red Cross Babysitter's Training Handbook, or DVDs like Care for Kids: The Essential Guide to Preparing Caregivers . Content copyright © 2018 by Pamela Wilson. All rights reserved. This content was written by Pamela Wilson. If you wish to use this content in any manner, you need written permission. Contact Pamela Wilson for details. Join us in sharing your story, comments, questions, or your favorite special needs sites. Invite friends from your neighborhood, PTA, work, or support group. Enjoy our community; suggest or participate in games! Subscribe for free weekly updates from this Children with Special Needs site.